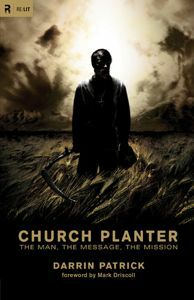 The title for this book, Church Planter, is in my opinion a very unfortunate one—and I mean that in the very best way possible. This is an excellent book that should be read by anyone in Christian ministry, and I fear that the title will prevent many people from considering picking up a book that should have a much broader audience than the name suggests. The subtitle, however, gives us a perfect breakdown of the book: "The Man, the Message, the Mission". The first section, "The Man" is probably the portion with the smallest audience. Geared towards those who would fall into the category of biblical pastor/elder, these chapters work through the qualifications and characteristics that make for a faithful and godly church leader. The last two of the three sections, "The Message" and "The Mission" break down in simple and accessible terms the ideas of the Gospel and the work of the Church. And it is in these sections that I feel the book hits a broader audience of every pastor, every elder, every Christian taking a serious role in the Great Commission (which should be all of us). The chapters addressing the sin-exposing, idol-shattering nature of the message and the contextualization and city transformation of the mission were particularly insightful and compelling. Darrin Patrick has given the church an excellent all-in-one resource for bringing up teachers, pastors, elders, and leaders in the church that far outreaches the implied scope of the title. The Westminster Bookstore has Church Planter at 33% off the list price ($10.71), the best price I've found. This book was a free review copy provided by Crossway.